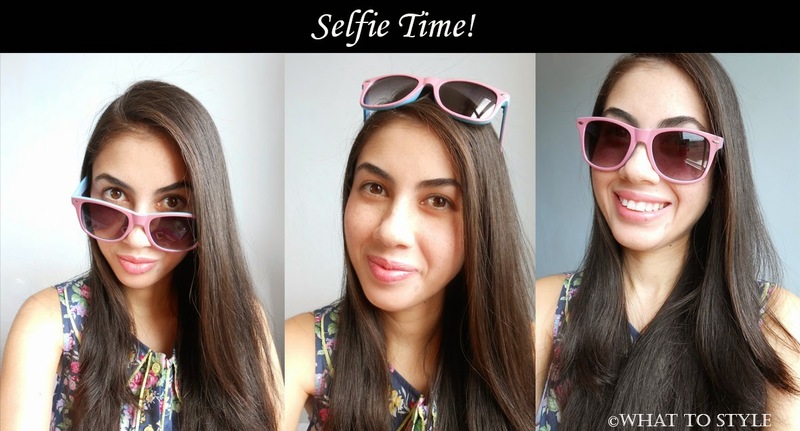 What To Style: Selfie Time with Maybelline BabyLips! Selfie Time with Maybelline BabyLips! Hey.. look at me!Today's post is very different of the regular Friday's, and the main reason is because I was one of the lucky winners of the Maybelline BabyLips' contest "Quem Cuida dos Lips Beija Esse Baby". I've got an exclusive sunglasses with the same color as the Quenched 005 BabyLips (blue packaging). I was craving for this product for so long, first because I love Maybelline and second, because this lip balm moisturizes for 8 hours and contains SPF 20. Another thing I like is the soft scent! Now the sunglasses.. it's quite fashionable and I can create many styles, it completes my outfits and let it more stylish! I'm loving it, thank you Maybelline! Oi.. olhe pra mim! O post de hoje é muito diferente dos posts regulares de sexta, e o principal motivo é que eu fui uma das vencedoras da promoção da Maybelline BabyLips "Quem Cuida dos Lips Beija Esse Baby". Ganhei um óculos exclusivo com a mesma cor do Baby Lips Hydra Care (embalagem azul). Estava querendo muito este produto, primeiro porque eu amo a Maybelline e segundo, porque este lip balm hidrata os lábios por 8 horas e contém FPS 20. Outra coisa que eu gosto é o cheirinho suave! Agora os óculos.. é bem moderno e posso criar vários estilos, ele completa meus looks deixando mais estiloso! Estou amando, obrigada Maybelline! This is my favorite Baby Lips lip balm and I love its bubble gum scent! Those sunglasses look so cute on you! I love Maybelline Babylips and have a couple different ones! How cool! I love these sunnies!! I love Baby Lips! And these shades look fabulous on you. Happy Friday! Congratulations to your really cool sunglasses which are looking so beautiful on you! you look so adorable in this glasses! How cool! Congrats girl! I have heard good things about baby lips! I have heard so many things about Baby Lips and I have still yet to try them for myself, I suppose I'll have to fix that soon! It goes very nicely with your sunnies! Cute sunnies! They'll go perfectly with the lip balm! I love Babylips!! Cute photos!! So cute! Followed you on instagram! Estou desejando um baby lips tb. Amei o seu óculos . Bjus! Aw you look adorable! And I LOVE baby lips. So great and such a necessity. I like this product, too. :) Btw, I am now following you on instagram. My username is @shekinahgapay. Hope you'll follow back. Have a great weekend! So lovely. I recently tried baby lips for the first time based on a recommendation from a friend. I have the pink one and the blue one. haven't tried this yet but read many good reviews. I've got to try Baby Lips! I've heard so many good things about it! Love to see some photos of you!! I bhought my first "baby lips" few days ago, and I felt in love with it. I've got green one and it's realy fantastic! Congrats on the win Jessica. You look so pretty and happy. the sunnies suits you so well. Sorry honey, I am not on Instagram, yet. you can put some and feel pretty right away. Love that they are not too pricey too. Congrats and you look stunning! Awesome and cute pics Jess! I'm happy for your join to IG! I know Baby Lips, but I never try it. Super cute!! Would you like to follow each other? Congrats on winning the contest! Love babylips!! Beautiful selfies and your lips look gorgeous! Lovely selfies! I saw the one on instagram! Looks so cute! Glad you won. Que óculos lindos! essa cor é fofa e caiu super bem em você. Parabéns por vencer a promoção. 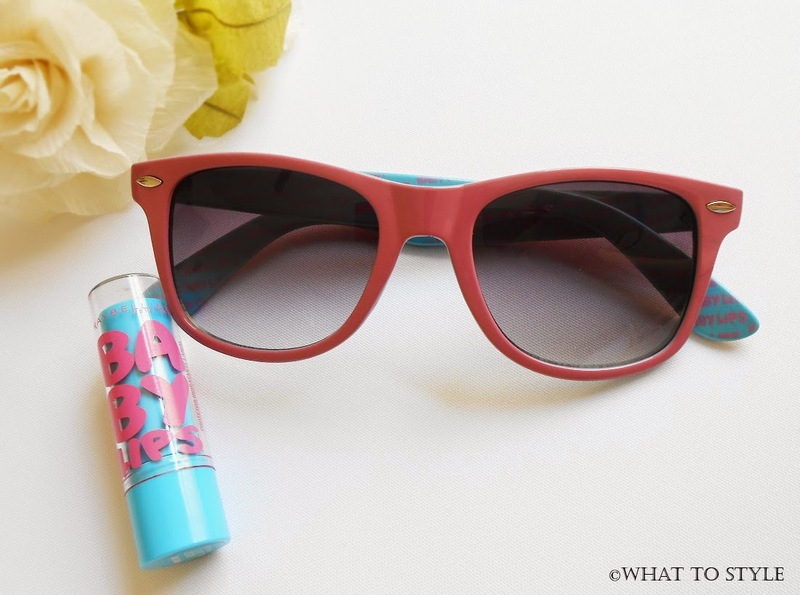 baby lips is one of my fav products of the moment! Nice selfies.=) Instagram is fun. Love to come back soon to see more. Congrats hun. I love Maybelline's Baby Lips. Great look! Love the dsunglasses! It's Time to Wear Pink..